LP version. Includes CD. Conrad Schnitzler (1937-2011), composer and concept artist, was one of the most important representatives of Germany's electronic music avant-garde. A student of Joseph Beuys, he founded Berlin's legendary Zodiak Free Arts Lab, a subculture club, in 1967/'68, was a member of Tangerine Dream (together with Klaus Schulze and Edgar Froese) and Kluster (with Dieter Moebius and Hans-Joachim Roedelius), and released countless solo albums. Pyrolator, born Kurt Dahlke in 1958, cofounder of the legendary German label and publisher Ata Tak, member of various seminal post-punk bands including D.A.F. and Der Plan, has released solo albums under his artist name from 1979 on. 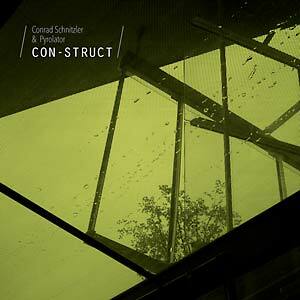 The Con-Struct series has its roots in Schnitzler's daily excursions through the sonic diversity of his synthesizers. Finding exceptional sounds with great regularity, he preserved them for use in subsequent live performances and amassed a vast sound archive. When the Berlin-based m=minimal label reissued two Conrad Schnitzler albums in 2010 and '11 (MINIMAL 001LP, MINIMAL 004LP), label honcho Jens Strüver was granted access to this audio library. Strüver came up with the idea of constructing new compositions, not remixes, from the archived material. On completion of the first Con-Struct album (MINIMAL 007CD/LP), he decided to develop the concept into a series, with different electronic musicians invited into Schnitzler's unique world of sound. Andreas Reihse (Kreidler) was responsible for the second installment in 2013 (MINIMAL 014CD/LP), and now Strüver has chosen Pyrolator to assume Schnitzler's mantle. A few words from Pyrolator: "It was a great honour for me to be asked to curate an edition of the Con-Struct series. Conrad's work is simply too important to turn down such an offer. 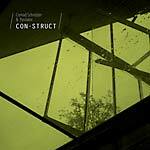 The guidelines for the Con-Struct series require the curator to select individual tracks which Conrad had used in his live shows and rearrange them to create something new. I must admit, I could not resist the temptation to add one or two of my own ideas. The original tracks were so inspiring, I just had to. 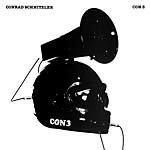 My prime objective was to present a side of Conrad which I had always heard in his music but one which often goes unnoticed: a darker, technoid side. 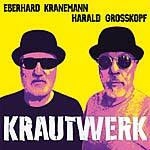 In my opinion, Conrad has always been one of the great pioneers of classic Berlin techno music. I look forward to many more chapters in the Con-Struct collection. Conrad's oeuvre is so extensive and so diverse that many more fascinating aspects await discovery."